Pay per click marketing is a great way to quickly get your site in front of your po10tial customers. 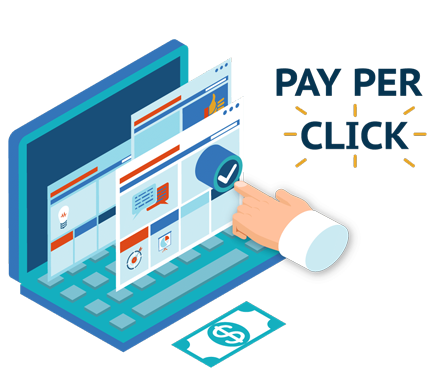 Skillfully handled PPC search engine marketing placement can save you lots of m1y and drastically increase your ROI. DTRIPLERS.com’s pay per click management professionals will strategically manage your campaign (or offer pay per click consulting) so your message reaches the largest audience possible. Pay per click, SEO and other search marketing strategies complement each other to generate revenue before and after you establish natural search engine rankings. This powerful marketing service can help you start building a strong customer base today. This tiered approach will help determine keyword efficiencies and allow for optimization and increased testing opportunities. Do you know who is targeting your desired keywords? How many companies are competing for the same traffic? What is your competition doing? Are they missing opportunities on which you can capitalize? Are they doing something you can do better? Our PPC services team takes an in-depth look at the competitive marketplace for your chosen keywords and help you develop strategies to reach the top of the rankings and stay there. Contextual advertising is about delivering the right message on the right website. This strategy places ads that appear within a website rather than on search engine results pages. We will help you set up and manage your contextual advertising so you can target the right customers on the right sites. We provides monthly progress reports to all of its clients. The reports include a detailed account of your website’s key performance indicators so you can easily evaluate the success of your PPC campaign. As data is collected, it is necessary to analyze results. Our PPC team reviews data on a daily basis. This daily review ensures trends are identified early on to improve campaign results. Thanks to sophisticated search engine reporting, data can be sliced and diced to evaluate key data points. Our standard reporting gives valuable performance insight into keywords, ad text messages, campaigns, ad group, and a wide variety of other important metrics. Our team is happy to provide detailed reporting on the most critical data points to help grow and develop your PPC campaign. As keywords are tested, appropriate bid levels will be established. Bid levels will be determined for each keyword according to performance. This will ensure budget dollars are spent efficiently. Regular optimizations of keywords and ad text will help save dollars and allow for increased bids on top performing keywords and the testing of new keywords and initiatives.